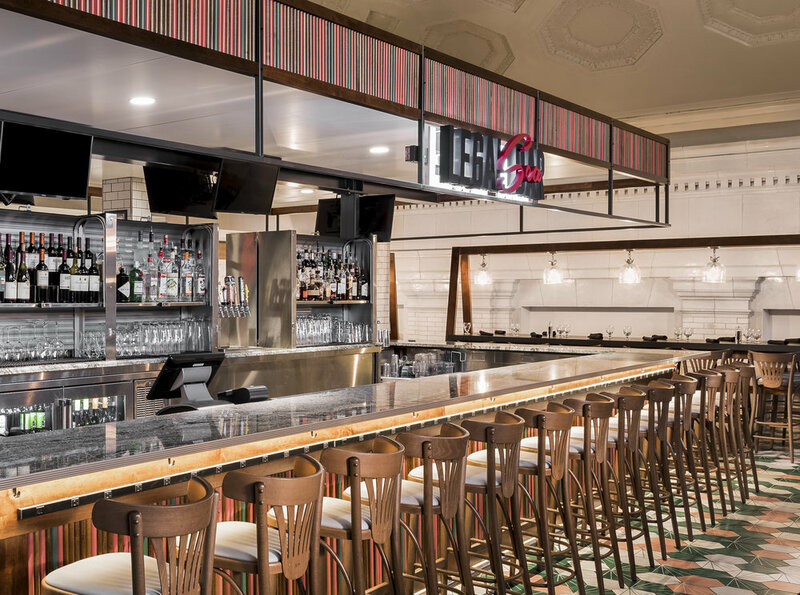 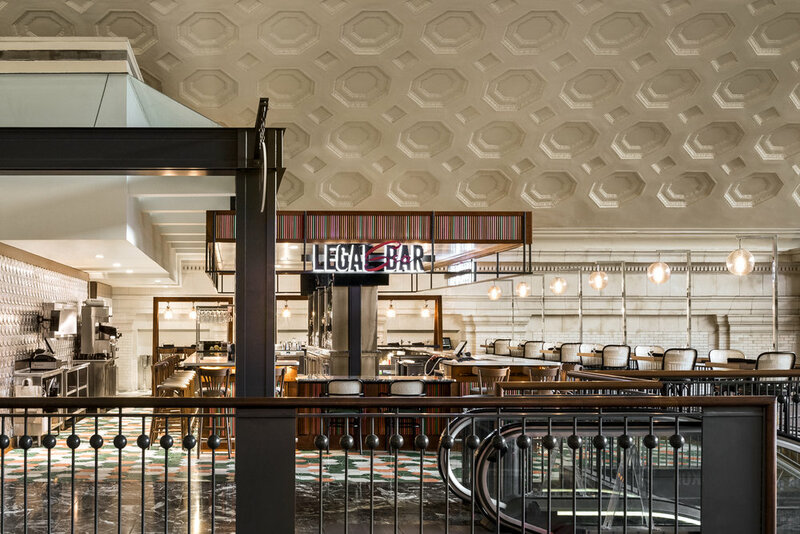 The design concept for Legal Sea Bar draws inspiration from the natural world far from the hustle and bustle of the train station and presents a freshly designed alternative to the station’s typical fare. 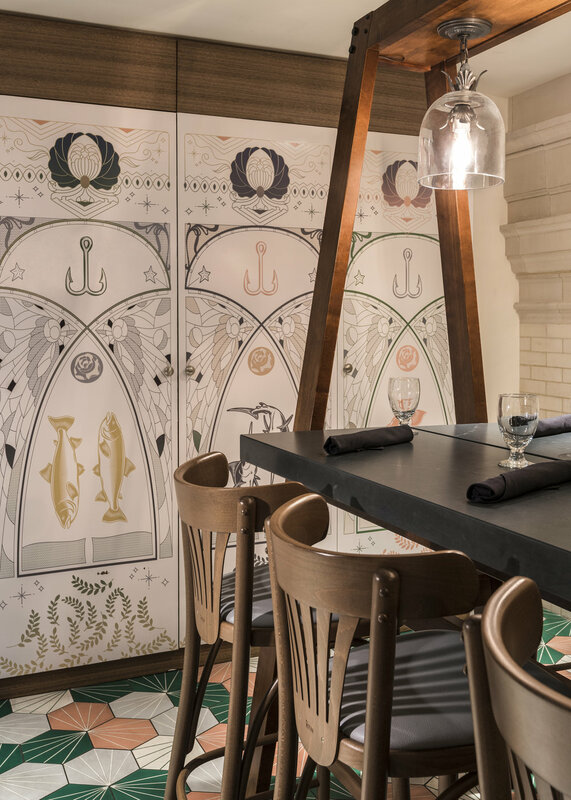 Bright colors and hints of nature, both flora and fauna, evoke subtle sophistication with a modern twist for today’s contemporary traveler. 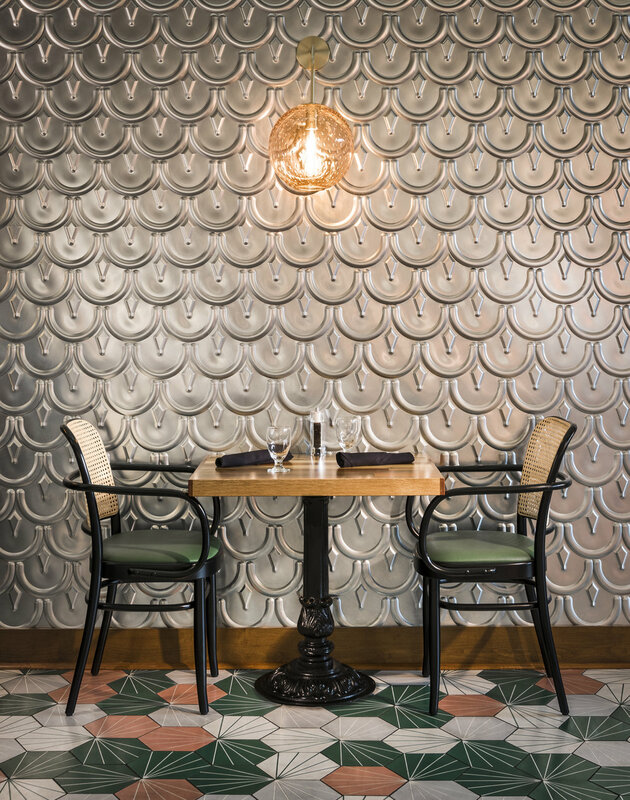 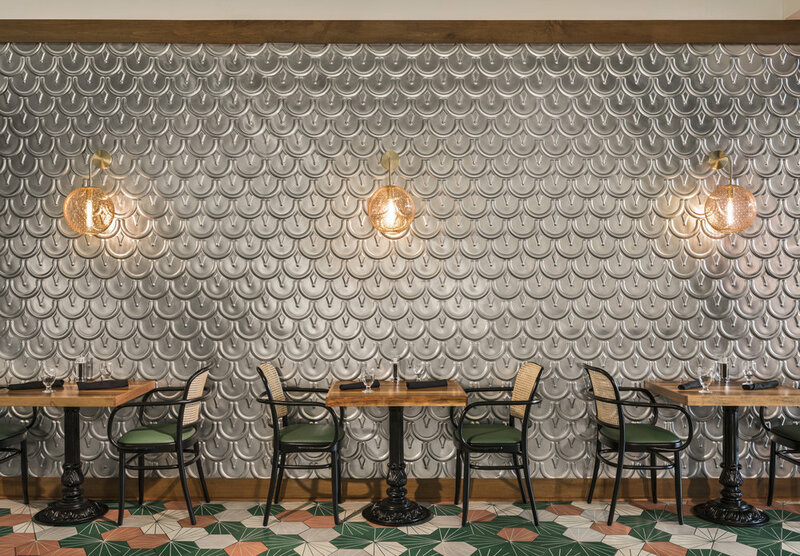 Layered zinc wall tiles offer an eye-catching sparkle and subtly reference creatures from the sea.